M.L.A Shri. K. Muraleedharan Trivandrum sets a model for all citizens in decentralised waste treatment. Disposal of waste is an arduous problem faced by all residents and Institutions. For waste disposal system in urban areas the Public depend mainly on local bodies. For want of proper waste collection mechanism, organic waste is being accumulated in large quantities in public places. Now people seriously think about the installation of their own treatment plants in the household level. Here Sri. 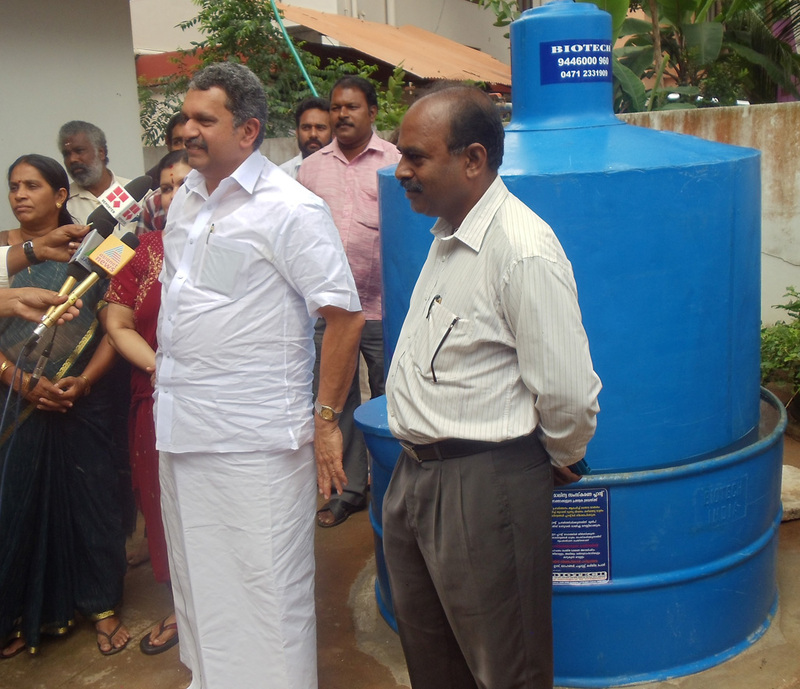 K. Muraleetharan, Member of Kerala Legislative Assembly, Trevandrum, has set an example to the public through the installation of a domestic waste treatment biogas plant, in his residence, Through the installation of this plant, the organic waste disposal problem in the residence of, Sri K Muraleetharan has been permanently solved. He has expressed the hope that, more people will come forward for the installation, of such plants all over. For more details contact. BIOTECH biogas plant has been installed at the residence of K. Muraleedharan, MLA.